Medsoft pillows offer all the protection and safety advantages of other designer vinyl pillows without the designer price. 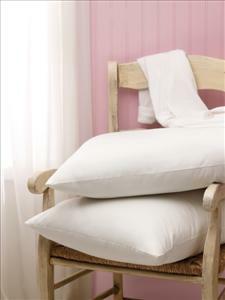 These pillows feature a soft, vinyl ticking that is mold resistant, inherently flame-retardant, antimicrobial, antistatic, and fluid-proof. This pillow combines both function and economy. 20X26. 1 each.